Mural cells known as pericytes envelop the endothelial layer of microvessels throughout the body and have been described to have tissue-specific functions. Cardiac pericytes are abundantly found in the heart, but they are relatively understudied. Currently, their importance is emerging in cardiovascular homeostasis and dysfunction due to their pleiotropism. They are known to play key roles in vascular tone and vascular integrity as well as angiogenesis. However, their dysfunctional presence and/or absence is critical in the mechanisms that lead to cardiac pathologies such as myocardial infarction, fibrosis, and thrombosis. Moreover, they are targeted as a therapeutic potential due to their mesenchymal properties that could allow them to repair and regenerate a damaged heart. They are also sought after as a cell-based therapy based on their healing potential in preclinical studies of animal models of myocardial infarction. 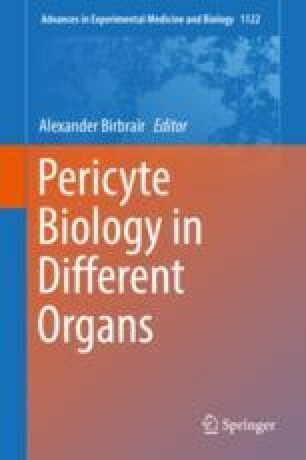 Therefore, recognizing the importance of cardiac pericytes and understanding their biology will lead to new therapeutic concepts.